Honda Cars Philippines, Inc. (HCPI) announces a revamp of their official website. 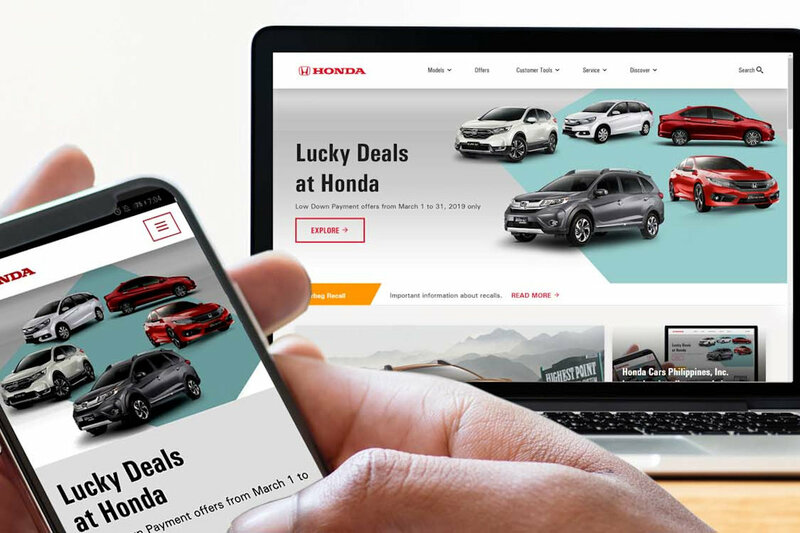 While it retains the same URL, it is, according to HCPI, faster, easier to use and navigate, and replete with relevant information that can provide Honda customers with their needs. Contact Us section that will enable customers to communicate with HCPI for any concern. Aside from car sales-related features, the website also offers relevant information on After-sales service. These include Preventive Maintenance schedules and costs, parts checking and replacement guide; programs that customers can avail to save on their maintenance expenses, and monthly promos. Those who are looking to work for Honda may also visit the Careers section where they can check current job openings and easily submit their resumes. Corporate information are also available for people who might have a need to know more about Honda in the Philippines. Moreover, knowing that most customers access the internet through their mobile phones, HCPI has made sure that the new website has a mobile-phone optimized and user-friendly mobile version.